This section in H&M at Meridian Mall was put together based on color and season. 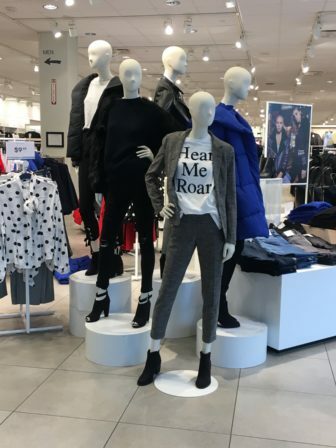 Almost every woman has experienced that feeling, when your heart skips a beat the moment you walk into a store and see the mannequin’s outfits. Immediately you rush to find that one item you spotted out, but once you try it on, it may not fit right or look as good as you thought. In that moment, uncertainty starts to arise: Maybe if I get another size, if I did my makeup then, or maybe if my hair was done, it would look better. “For my body type, the first thought is I’m glad I tried it on before I bought it,” Hall said. Some women may think that they are the only ones who face the issue of not finding their perfect fit; however, many women probably face the same issues. Facing these types of challenges may seem very tedious and even time consuming; however, with help from the sales advisors, these problems can be resolved. 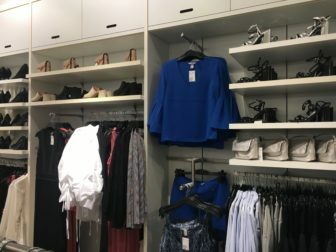 H&M Visual Merchandisers put sections in the store together to help people shop by color, season and style. Each section contains pieces that can create an entire outfit. What we wear on a day-to-day basis affects the way we view ourselves; however, it all starts with what we decide to purchase. If certain garments that look amazing on other people (or mannequins), don’t fit well on you then there’s nothing to worry about because there’s always an alternative. “If someone likes the pattern of a shirt, but maybe not the fit, they can go and find a different style shirt. There’s always more than one option,” Hertz said. Fashion is something that is used everyday in order to help people feel their best. It can become discouraging when someone can’t find their perfect fit; however, that doesn’t mean stop your search. Disappointed expectations don’t only have an affect on the body image, but also on the amount of returns. 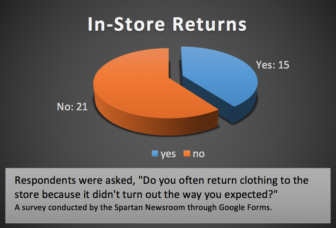 Out of 35 people, 14 of them often return clothing to the store because it didn’t turn out the way he or she expected [top graph]. 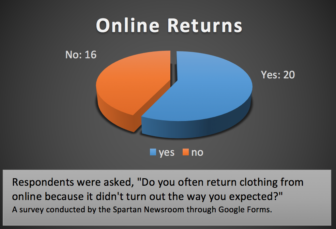 However, 20 of them often return clothing from online because it didn’t turn out the way he/she expected [bottom graph]. This shows us that online shopping leads to higher disappointed expectations than in-store shopping. 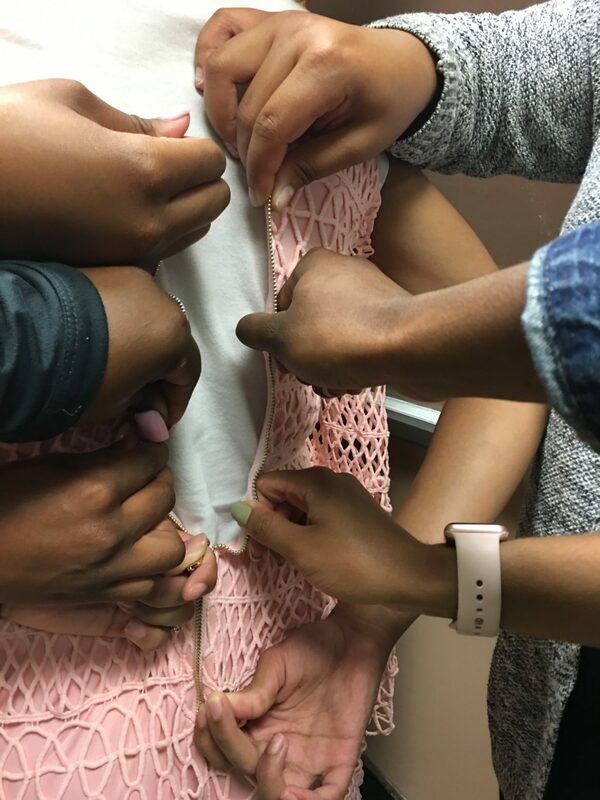 EAST LANSING, Mich. — When most people think of eating disorders, stick-thin women with their ribs showing under their skin is the image that comes to mind.